School days seem so far away, don't they? After all--we are just getting ready to inch into July and the hot summer months will be upon us for awhile. But guess what? That means it's time to start getting your immune-boosting homemade Fire Cider ready for the Fall! My version of this traditional herbal recipe for health is a tonic that is easy and delicious. All you need to make it is time and easy-to-find ingredients. Here, we'll talk about all the benefits of Fire Cider, is the stuff really healthy? And how you can use it, even with kids! **If you are reading this and we happen to be well into Fall or Winter---no problem! Go ahead and get some Fire Cider going anyway! Note: This article has been edited. Plus, FTC Disclosure: There are affiliate links scattered throughout this article. If you click through and make any kind of purchase, I may earn a small commission at no extra cost to you! But What on Earth is Fire Cider? Fire Cider is an herbal infused vinegar that packs a powerful punch! It fends off colds and flu with the intense antibacterial and antiviral properties of the ingredients. It tastes great too! However, it's not for the faint of "stomach"! The hot spices of this tonic are great for digestion, and they will definitely warm you up! Although hot and spicy, it is a delicious and tasty tonic. Keep reading, and you'll not only have the recipe, but ways to use it too! I just love this infusion for the Fall and Winter months. The thing is, it takes some time, so it's best to start making it early! My recipe (like 1,000's of other versions) is inspired by Rosemary Gladstar's original recipe from the 1970's. I'm sure her version is based on an even more ancient recipe too, as I have heard this tonic dates back perhaps hundreds of years. 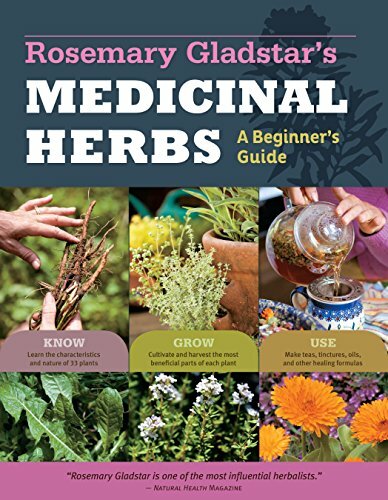 You can find it in her book, Medicinal Herbs: A Beginner's Guide, which is a book I believe should be in every home! 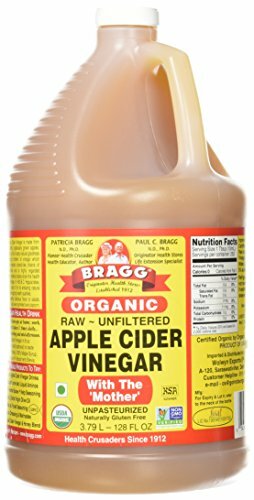 *** Raw unpasteurized apple cider vinegar (with the "mother"). I used a half gallon Mason jar, so you'll need quite a lot if you make this much at a time. You can also half the recipe and just use a quart size Mason jar too. NOTE: You can find out how to make your own raw apple cider vinegar here! 1. Chop the onion and the garlic. Add to a half gallon Mason jar. Feel free to add more garlic! Garlic has incredible immune boosting properties! 2. Add the shredded ginger root and horseradish root. Warming and stimulating roots---great for the digestion too. 3. Add your peppers. Cayenne peppers, in particular, contain constituents that benefit many systems in the body, including the heart and joints. This is a half gallon size Mason jar. You can add more or less to taste, and if you want more in your jar, it's just fine to fill it up to about half. 4. Pour raw unpasteurized apple cider vinegar with the "mother" over all to within an inch or so of the top. 5. I add about 2 tablespoons of the Molasses at this point, just so the flavor will soak into the herbs. You can also use honey, but add the honey AFTER the infusing is done, as I have heard the antibacterial properties of the honey may kill off the good bacteria in the infusion. I have no idea if this is true or not. You can also add the Molasses at the end too, if you prefer. 6. Cover with a plastic lid OR use the Mason jar lid, but put a piece of cloth under the lid part because the vinegar will corrode the metal. 7. Let infuse in a nice spot (I just put mine in a windowsill that gets hit with a little sunlight---you probably shouldn't let it sit in direct sun, but I have not ever had problems putting anything in this western facing sill) for about four weeks or so. Shake when you think about it. 8. After it's done, just strain out the herbal matter, bottle it up, and enjoy! Bottled up! This batch yielded almost two full quart jars of tonic! I'll be making some more in about three months or so. Just drink a tablespoon or two a day! You can take it straight if you're brave, or, if you are like me, just mix it into some water. You will be amazed at how great it makes you feel! I have never actually tried this myself, but I have heard Fire Cider works wonders as a remedy for when you have imbibed too much! YES! It tastes that good! You can mix it with some oil, and it makes a completely delicious dressing. You can use it in your casseroles, sauces, etc. Just know that the heat will kill the good bacteria from the "mother" in the ACV (Apple Cider Vinegar). But the herbs still work, and so does the vinegar! Fill a small glass half full of the Fire Cider and mix up with half water. Sip and enjoy! If this is too strong, just dilute a bit more with the water. Drink throughout the day or as you feel like it. It really does help kick colds and flus faster, in my experience! You know what? I love this stuff! I love how it tastes! I love that you can cook with it! You can even use it on salads and in dressings. This was one of the first herbal preparations I ever made when I began studying herbalism almost a decade ago. It's never too late to start! Hey! Are you interested in getting started learning more about using herbs for your health? It's so very empowering! I love The Herbal Academy of New England because they have courses for all levels and interests! If you are going to use it as a tonic for your children, though be sure you dilute it as it can be very spicy. You may also enjoy my comprehensive eBook on Cold and Flu support from how to prevent it, how to get better faster, how to deal with symptoms, and how to make sure you stay well! P.S. Don't forget to sign up for our Newsletter! You’ll get immediate access to the password protected Resource Library when you do! I love buying Braggs by the gallon! I also make my own ACV, and there will be a post soon on that. But I love Braggs, and if you are not into making your own, this is the best you can get! 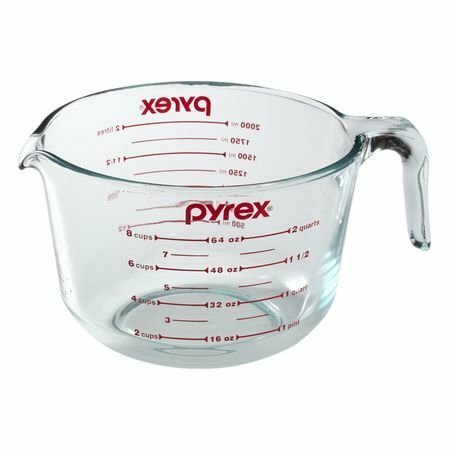 I love my extra large Pyrex measuring pitcher! I use it all the time when making large amounts of tinctures, infused vinegars, whey, etc. I could not live without this! You can find Rosemary's original recipe for Fire Cider in this book. Plus, this book was my first stepping stone into learning about herbalism. I still use it often! It's one of my top favorites!